Yesterday showered sunshine raw and genuine and beautiful upon Kevin and I.
for starters i swear it was 85 degrees. i wore shorts and a tank top. in march. um...hello SPRING! two sweet friends came over for breakfast, and we talked and shared and laughed and were real. genuine conversation about a God that heals and mends and binds broken wounds. at church our pastor called Kevin and I up front to pray for us while our life group laid hands on us. and tangibly support our journey. Honestly, I felt the body of believers BE the church as they surrounded us. After church our life group grabbed food and took it to the park where we basked in the rays and gobbled down pizza and took goodbye pictures. Later, Kevin and I rode our beach cruisers over to his parents house. We watched basketball (i'm kind of a die hard March Madness fan! ), and then Kev's family and a few friends came over to our house where Kev and I cooked up our last meal at our little abode. Late into the night we laughed. The phrase "i'm going to miss you" played on repeat. i literally felt clothed in LOVE. a radiating agape garment draped heavy over my heart. i hugged tight not wanting the day to end. To be known and loved is so powerful. There is absolutely nothing like it. 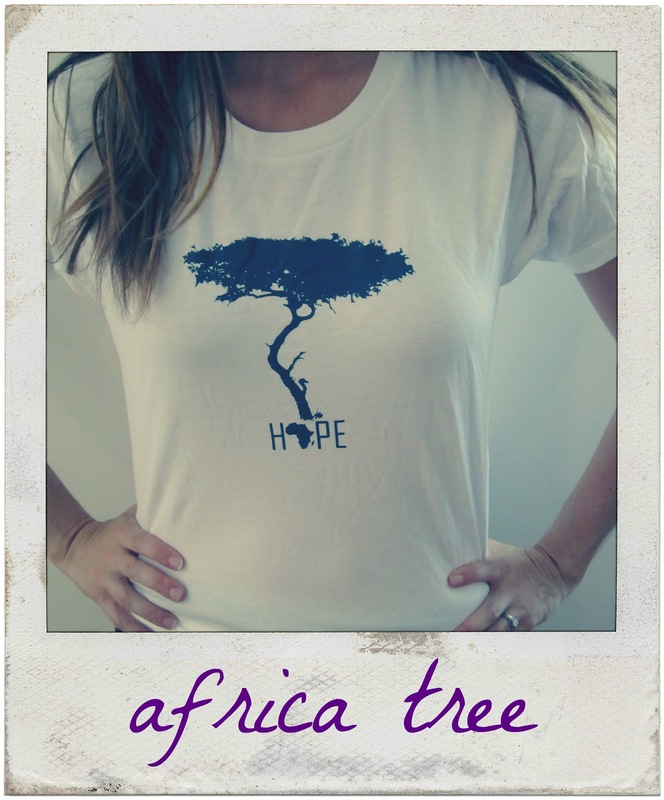 I am giving away 5 Africa Hope Shirts to you dear readers!! That's it! Nothing too hard! When you are loved so dearly and so surrounded by love in one place that it's hard to leave because you know how hard it is on the people you're leaving....then you know that you truly lived well in that place, that you impacted lives. Did I tell you already that I'm going home for a month this summer? I'm already nervous that once I get there I won't ever want to come back here. For that reason it's a good thing that Angel will be here in the U.S., at least he'll give me some reason to come back. 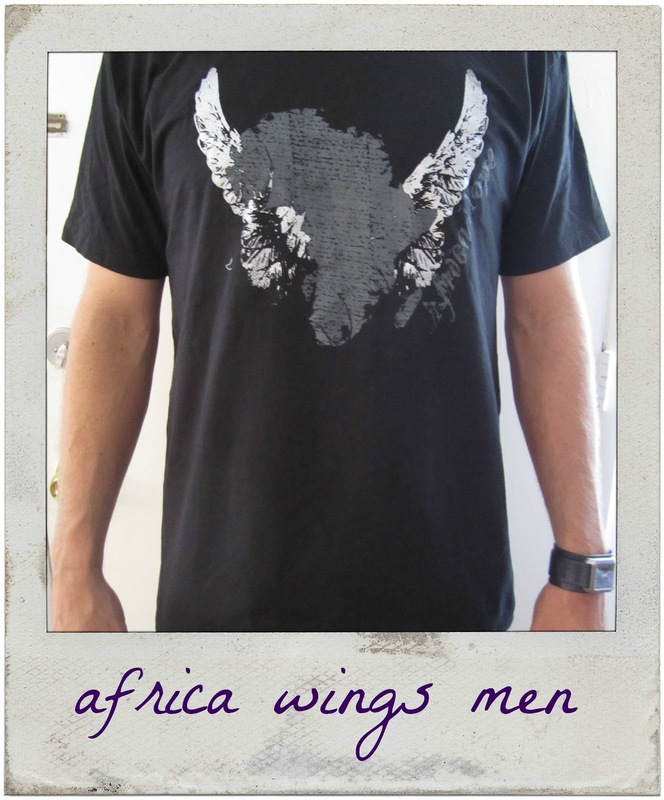 And I love the Africa Dove shirt. This post warms my heart...church family at its best. This is so wonderful! Truly what the church should be!! Praying as y'all prepare to leave for comfort, strength, courage, and peace! P.s. I love all of the shirts but I do love the shed some light and the red one the best!!! Your post is so beautiful, as always. The power of prayer is so incredible and the way the Holy Spirit surrounds and encompasses is breathtaking. I'll be praying for you two. Will you be able to keep your blog going? it sounds like you had a lovely goodbye gathering. although leaving will be hard, you're so right--you are clothed in their love, and will continue to feel its effects even in nepal! good luck to you and kevin, i can't wait to see and hear about your work and travels :) you're in my thoughts and prayers! I'm jealous you are actually experiencing SPRING weather...it's SNOWING in Ohio. Crazy weather! Love this giveaway...I don't know how I'd choose a shirt! Maybe the Shed some Light or the Africa tree? 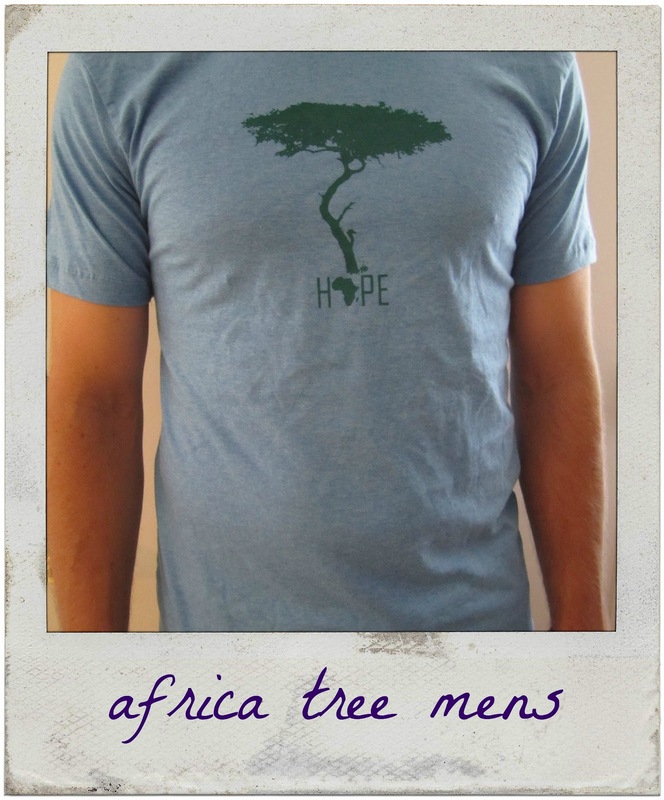 I love the Africa Hope shirt! 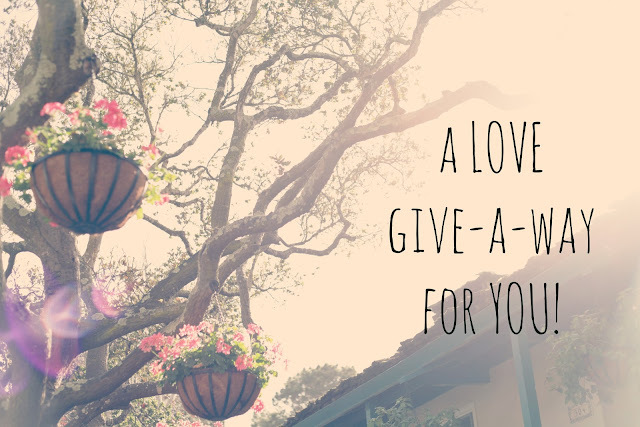 This is a beautiful post :) Love reading your blog! 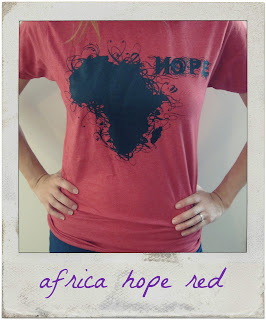 Africa Hope Red shirt is sweet! I was so encouraged just reading your post today. It is truly a blessing to hear how well our church is loving on others...God is good! Goodness, it looks like I am just posting because I want a shirt. Which I do and it is why I am posting. Ha. I like the language one. What an amazing giveaway, Katie. I love the Africa Dove shirt. I'm praying for you and Kevin as you're leaving and I'll continue to be doing so while you're there. I'm so excited to hear all about what God's going to do in and through you. 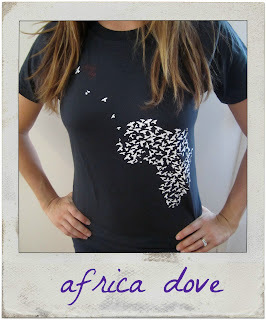 I love the Africa dove shirt. I'm a recent blog follower, but I'm excited to read about all of your adventures. Katie, I'm SO EXCITED for your adventures in Asia. Thank you for sharing your heart and for pouring your life out as a vessel for the Lord to use. You truly are an encouragement and a blessing. I love you and am looking forward to hearing about the incredible ways God uses you and Kevin in Asia. Take care and keep in touch! 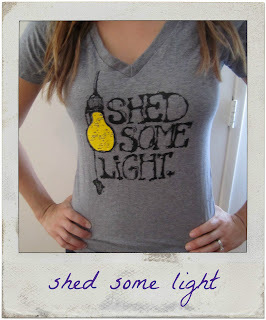 <3 Erin Oh, I really like the "Shed Some Light" Tee..
don't count my comment for the giveaway but i just had to comment and tell you that i love you so much! am going to miss you like crazy. you were my first true friend out here! Ive been there. It's so hard, and yet so exciting at the same time! I love the feeling of being clothed in love! We have a team visiting from the states this week, and this morning they prayed over our team and over us as individuals. I absolutely felt clothed in Love as they placed their hands on me and on Judah (who I was wearing in the Moby wrap :) and covered us in beautiful words of encouragement! What a sweet way to share that love :) I LOOOOVE these shirts! 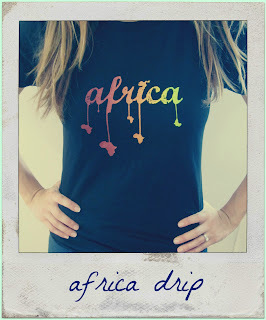 I think Africa Dove is my fave :) Though Africa drip is a cloooose second! Beautiful! And I will go back and read your Africa stories again. I enjoyed them so much the first time! How generous! I've been eyeing your shirts FOREVER! 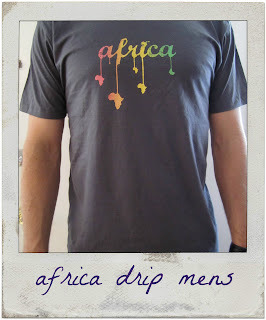 I love the Africa drip one. awesome giveaway, katie! my favorites (because i couldn't pick just one ;) are "Africa Hope (red)" and "Shed Some Light. Praying for you and kev as you leave the comforts of your loved little community, and step out into the great big world and love like Jesus. love you my friend! I stumbled upon your blog recently and have really enjoyed it! I get so excited to hear about young adults who are passionate about Jesus & willing to live a life that is in accordance to His will! As a single gal & a lover of romance I was in love with your love story, so amazing! 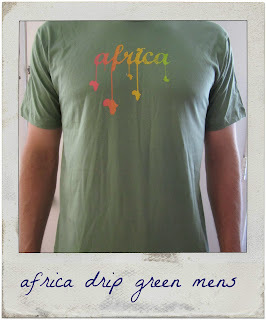 On another note, my fave shirts were Africa Drip, Africa Hope, and Africa Tree... I've got my fingers crossed & I'm whispering a prayer bcuz I would love to win a shirt, I NEVER win anything... Have a safe flight and I pray that your time overseas will be an adventure and a time where you not only continue to grow, but are able to see other's encounter the love of Jesus! 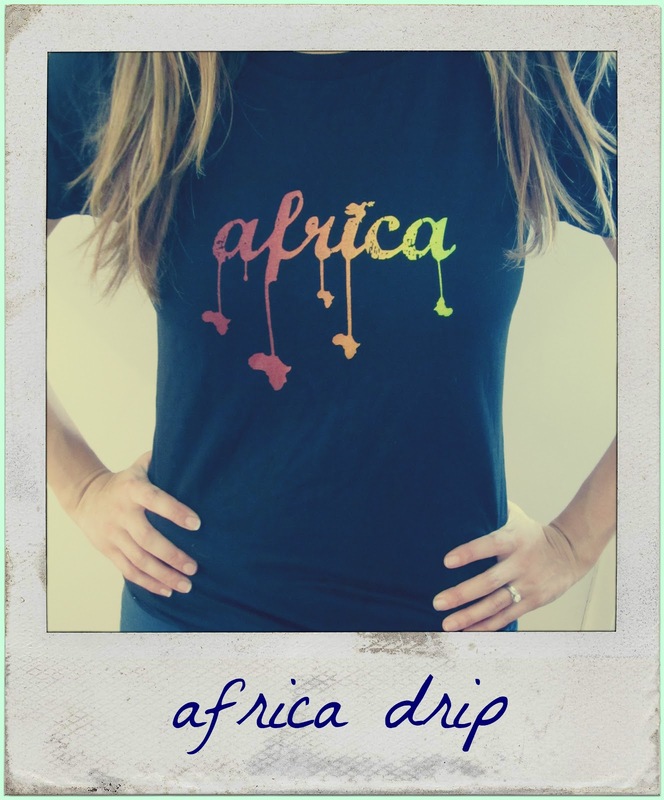 LOVE Africa Dip, you encourage me!!! love the dove t-shirt. very creative. 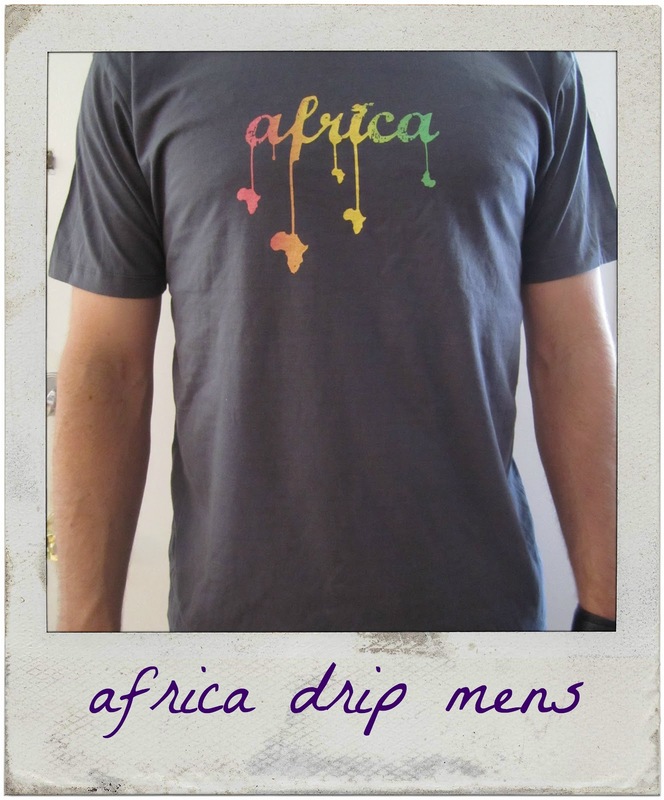 praying for your time in africa! i know the Lord will work in wonderful ways. Praying for you guys, and so glad you have a great church supporting you! Love the Africa Dove shirt :) And the shed some love shirt! "To be known and loved is so powerful. There is absolutely nothing like it." oh my goodness...that is so true!!!!! I love it when the church body really is the church body. It sounds like you had a wonderful day and I am soo excited for the journey ahead of you! I love the shed some light t-shirt! have a great day beautiful, beautiful girl! 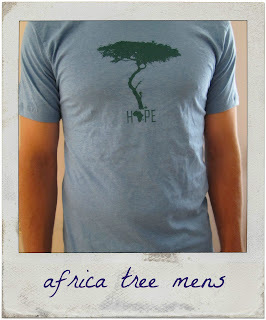 I love the Africa Tree Mens. Blessings to you guys! Prayers daily will be sent! I have been following (without actually having signed up) your blog for several months now. I am inspired by the life that you and Kevin live and it's such a blessing to hear and read about other young, newly-married Christ followers that are seeking to intentionally live in community with those around them. I wish New York wasn't so far from California because I have a feeling we'd get along quite well (with our March Madness obsessions as well!) I will certainly be in prayer for the two of you as you embark on this incredible journey! 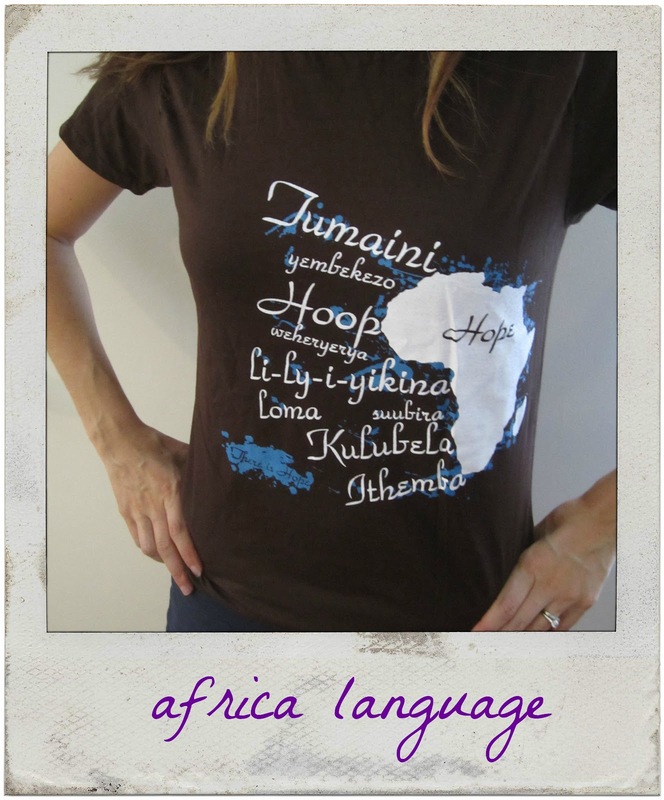 Also...I love the Africa language, the Africa drip, and the Africa tree shirts! Hello lovely! I'm going to miss you like crazy, seriously... I love you! I'm going to miss laughing with you :) I look forward to hearing all about your next adventures and how you experience God's radical and amazing love. Love you! What a beautiful "last day" with those you love...saying goodbye is never easy...but it also reminds us how we are placed into the lives of others for a purpose! ALL of the shirts are beautiful really! 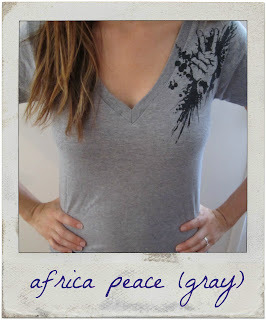 I think my favorite is the africa dove.